The earth absorbs almost 50% of all solar energy and remains a nearly constant temperature of 50F to 70F depending on geographic location. 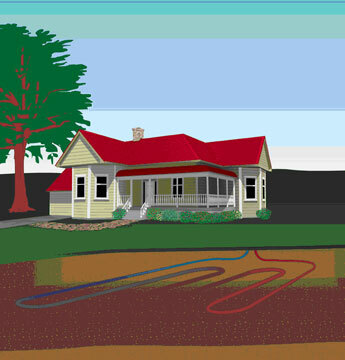 Working with an underground loop system, a Bryant geothermal unit utilizes this constant temperature to exchange energy between your home and the earth as needed for heating and cooling. 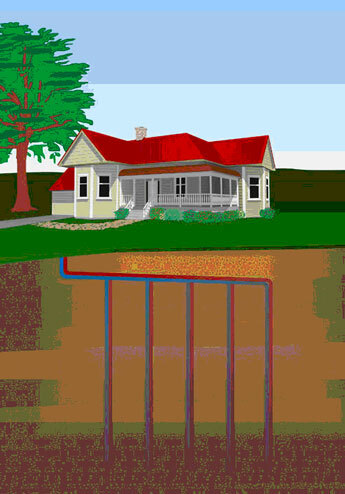 Vertical Loops are used extensively where land area is limited. A pair of pipes with a special U-Bend assembly at the bottom are inserted into a bore hole that averages between 150 to 250 feet in depth per ton of equipment.